Facing stiff opposition from political rivals in the Parliament, the Modi government opted for the ordinance route on ‘Triple Talaq’ in the name of gender justice, gender equality and gender dignity. Will the gamble pay off even as the move comes ahead of the assembly elections in five states? After failing to secure the support of opposition parties in the Rajya Sabha, the Modi government on September 19, promulgated an ordinance to make instant triple talaq a criminal offence with penal provisions. Introduced in the Lok Sabha last year, the Muslim Women (Protection of Rights on Marriage) Bill was passed on December 28, 2017. Union law and justice minister Ravishankar Prasad described the move behind the ordinance as a “compelling necessity” as the practice continued “unabated” despite the Supreme Court annulling it last year and directing the government to bring about a legal framework to deal with the subject. The offence is now cognisable with a provision of three-year jail for the husband if the FIR is filed by a woman or her blood relations. Compromise can be reached at the woman’s initiative and with appropriate conditions imposed by the magistrate concerned. A magistrate can grant bail after hearing the woman. Minor kids’ custody will go to the mother, who will be entitled to maintenance. 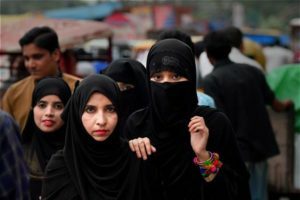 Explaining the need for urgent legislation, Prasad pointed out that 430 cases of instant triple talaq have come to the notice of the government through the media. About 229 were reported before the Supreme Court judgement, while another 201 came to the notice after it. Last August, the Supreme Court had given the government a six-month window to come up with a law to end triple talaq. The Bill has been pending in the Rajya Sabha since January this year, due to opposition from the Congress and its allies. The legislation could not be taken up in this year’s Budget and Monsoon session. The ruling Bharatiya Janata Party (BJP) has merely 73 MPs of the total 250 members of the Rajya Sabha. This affects the government legislative as the opposition has its own perspective, which is different from that of the Modi government. Presently, 31 proposed legislations approved by the Lok Sabha, are stuck in the Rajya Sabha. In fact, browbeating the opposition, the Modi government has brought 41 ordinances via executive order since 2014. Prasad urged the UPA chairperson Sonia Gandhi, BSP supremo Mayawati and All India Trinamool Congress chief and West Bengal chief minister Mamata Banerjee to support the Bill. Prasad said that if the Congress does not support the ordinance, then Gandhi should not talk of gender justice, dignity and equality. As per the 2011 Census data, Muslims constitute just 14 pc of India’s population of 1.3 billion and form the support base of all the three political parties, namely the Congress across the country, BSP in Uttar Pradesh and Trinamool Congress in West Bengal. During February–March last year, while campaigning for assembly polls in Uttar Pradesh, the BJP president Amit Shah rallied for the cause of abolition of the medieval practice. It paid off and the BJP came to power in the state. No wonder the opposition parties point out that the BJP is rallying around the legislation as election propaganda. No doubt the triple talaq ordinance will take the BJP closer to Muslim women, ahead of the elections in the four states – Telangana, Chhattisgarh, Rajasthan and Madhya Pradesh—followed by the Lok Sabha polls. Now the party hopes for a repeat performance in the upcoming general elections. Meanwhile, the Congress party has pointed out the practical issues involved in the law. Congress chief spokesperson Randeep Surjewala said the government has not acceded to the party’s request to make provisions for attaching the property of those not providing compensation to the affected women and children after divorcing them. He also pointed out that the Congress had questioned as to how the women and children will get an allowance, if a man is jailed. The Modi government may find it difficult to pass the Bill to replace the ordinance on instant triple talaq in the next Parliament, as even the pro-government JDU and AIADMK, apart from the Congress, SP, BSP, Left parties and Trinamool, have demanded that the government refer the Bill to the select committee. With election season ahead, the legislation provides enough political fodder for political parties!